When I was helping design a clock for the Corpus Christi College undergraduate library, I didn’t want to create anything that had ever been done before. The design is a homage to John Harrison who used a grasshopper escapement in the development of his sea clocks. I took the idea of a grasshopper escapement that had been designed by the iconic horologist John Harrison and made it much bigger. 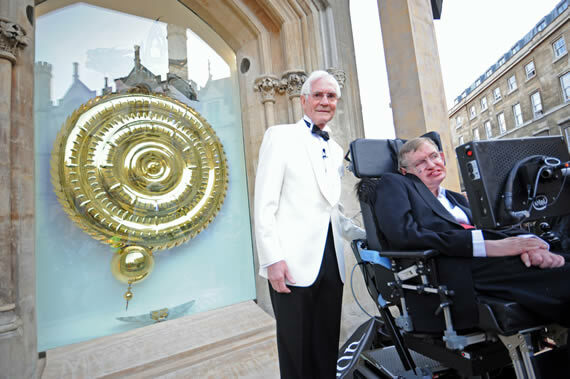 The Corpus Chronophage clock was unveiled in 2008 by the world-renowned theoretical physicist and cosmologist Professor Stephen Hawking and it’s been a huge source of fascination ever since. Protected by six patents and using a unique mechanism, it is a fully functioning mechanical clock that shows the time without using hands. 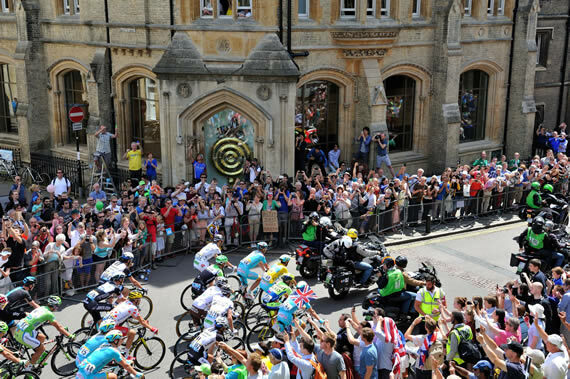 The Corpus Chronophage is usually surrounded by a crowd of admirers – several million people a year come to see it and it is now the prime visitor attraction in Cambridge. Adults appreciate the level of artistry, workmanship and humour that have gone into the clock’s creation. The ripples on the clock face, which depict time expanding from the centre of the universe after the Big Bang, urge them to contextualise their own existence. The clock is equally popular with children who are fascinated by the unpredictable behaviour of the creature on top of the clock. The creature will snap its mouth, blink and move its tail, eating every 59th second at the end of the minute, so that you can never get it back. The fact that the clock is admired and appreciated by so many people is a huge source of personal satisfaction.